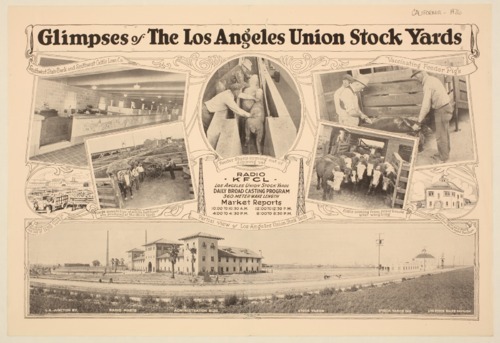 This pamphlet contains information and photographs about the Los Angeles Union Stock Yards. It also provide the schedule for market reports on KFCL radio. This item is labeled Los Angeles Union Stock Yards, Bulletin No. 1.